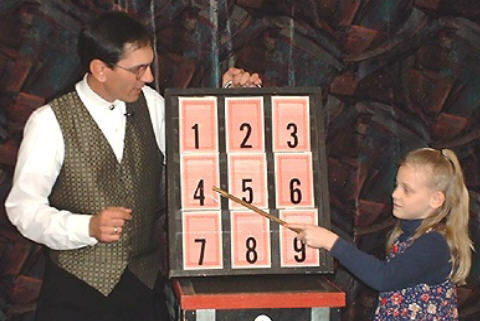 "Magicians Mort and Donna, thanks for being the life of the party last night. Everyone at Portico was singing your praises when I went to work this morning." 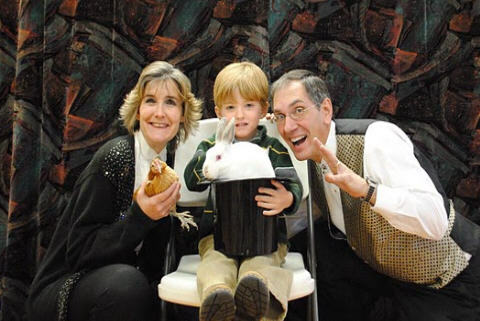 At his fourth birthday party, Parks celebrates with Mort; Donna; Scarlett, the Nankin hen; and Velvet; the Mini-Rex rabbit. 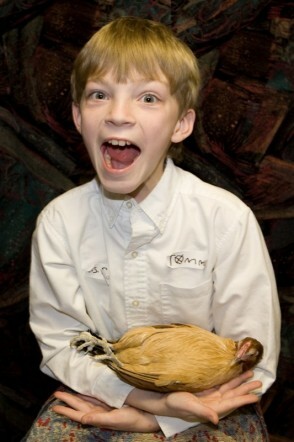 Tommy, the birthday boy, is amazed and delighted as Scarlett, the Nankin hen, lounges contentedly in his arms. In describing his magical birthday, Tommy enthusiastically proclaimed, "It's the best day of my life, so far!" 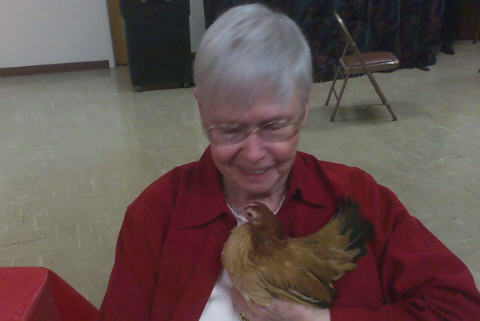 After making a magical appearance during Mort's and Donna's magic show at Brewster Road Baptist Church, Scarlett, the Nankin hen, enjoys being cuddled by Virginia, a member of the congregation. 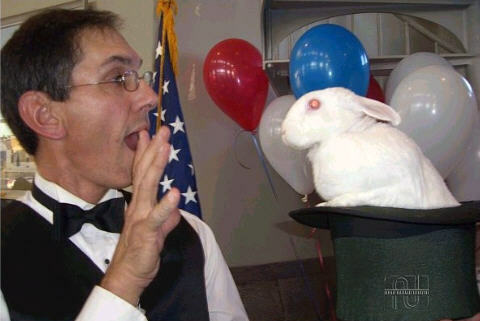 Following a performance of platform magic at the Bessemer Hall of History, Mort hypnotizes his Mini-Rex rabbit, Lucky. 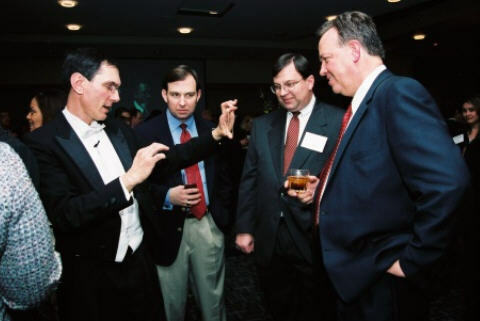 Mort performs close-up magic at the "Book of Lists Preview Party" for the Birmingham Business Journal. 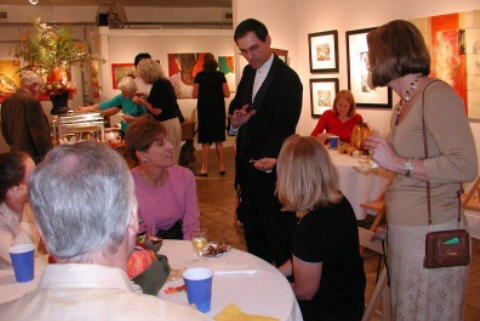 Mort performs close-up magic at the "Tails and Art Benefit" for the Alabama Animal Foundation. 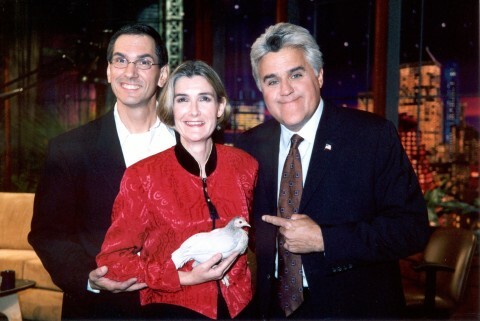 Matilda, World's Oldest Living Chicken; Mort; and Donna appear with Jay Leno on The Tonight Show. Olivia, the birthday girl, assists Mort with a piece of magic at her ninth birthday party. Mort The Mystifying and Donna would like to express their thanks to the many photographers whose time, talents, and generosity made this page possible.